← Board of Legislators in Surprise Special Meeting Votes to Request State Permission to Install Red Light Cameras Throughout Westchester County. BOYKIN, Chair ISSUES STATEMENT. Governor Andrew Cuomo Addressing White Plains High School Students at the high school Tuesday morning. Governor’s Press Office Photo. 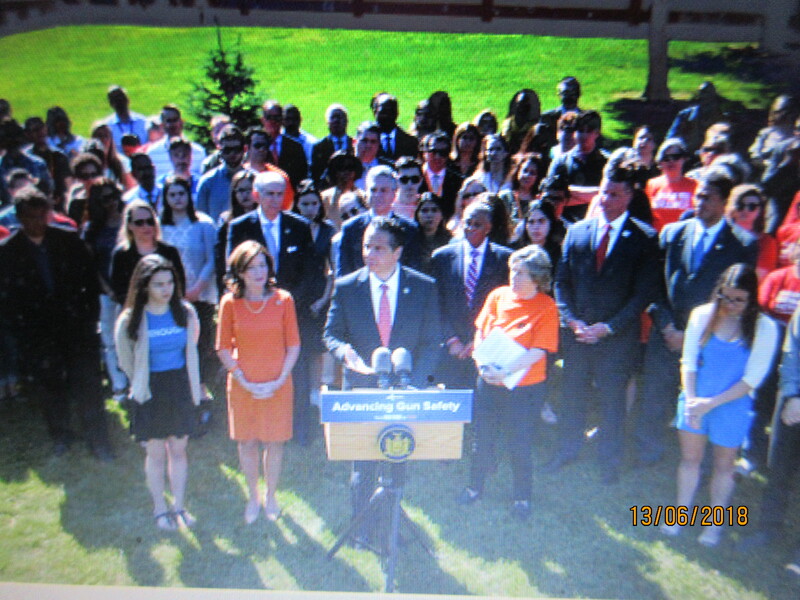 Governor Andrew M. Cuomo Tuesday stopped in Westchester County as part of the statewide campaign to pass the Red Flag Gun Protection Bill, which kicked off Monday, June 11 on Long Island and in the Bronx. The Red Flag Protection Bill, also known as the Extreme Risk Protection Order Bill, was advanced by the Governor last week. The bus tour stopped at White Plains High School to bring together local elected officials, school staff and students in support of the bill. 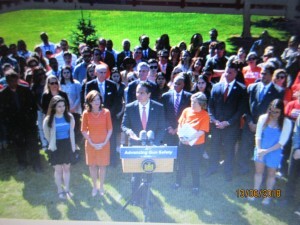 Westchester County leaders endorsed the bill, which would prevent individuals determined by a court to have the potential to cause themselves or others serious harm from purchasing, possessing, or attempting to purchase or possess any type of firearm, including hand guns, rifles, or shotguns. This legislation builds on New York’s strongest in the nation gun laws and prior legislative efforts, and, if passed, would make New York the first in the United States to empower its teachers and school administrators to prevent school shootings by pursuing court intervention.